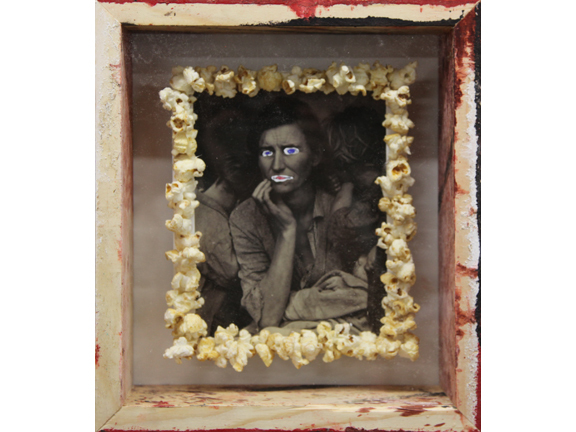 Self Portrait (Children of the Corn), 2001-2010. Caramel popcorn, MoMA postcard, white-out, Sharpie Fineline. 12 x 11 x 3 ½ inches.